Lately you may have noticed that I’ve alluded to some changes going on around here – reasons why I will need to make things a bit easier for me in the kitchen a few days a week. The big news is that I’ve decided to reenter the workforce after almost 4 years! In my previous life, when I was a career woman without kids, I rarely packed my lunch. Working in the city made eating at restaurants and/or ordering lunch in way too tempting. You walk out of the door to your building and have so many fantastic options within a few blocks…NYC is great like that. Plus, who wants to carry their lunch while commuting via bus or train or ferry? I really didn’t. 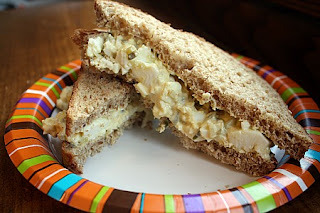 I know there are a lot of ways to make egg salad (I have a few favorites myself)…this one is probably at the top of my list. I love the tastes of these ingredients together, and it only takes a few minutes to make. Easy to pack, too! Peel and chop eggs in a bowl. Add remaining ingredients and taste as you go to adjust seasonings to your liking. Serve as a sandwich, with crackers, or eat straight up with a fork! 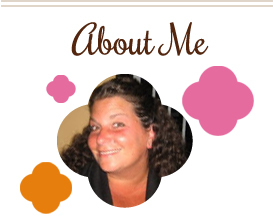 This entry was posted in eggs, make ahead, QuickAndEasy, salad, sandwiches. Bookmark the permalink. Well, a hearty congratulations! Must be an offer you couldn’t refuse. Looks like a great packable lunch. . . hope you’ll be back often! Do you have any particular sneaky way to chop up your eggs quickly when you’re in a hurry? I’ve tried various techniques and not found one I’m really fond of. Ayshela, you are right…that’s what I get for writing blog posts first thing in the morning! Must have more coffee next time I do that 🙂 As for the eggs, I honestly don’t have a technique…chopping/mashing with a fork usually works for me. congratulations and happy back to work. Congrats! Looking forward to seeing all your yummy lunches like this egg salad!